Dubai: If you have a few millions to spare on an island, or beachside home, Dubai’s waterfront sure has a few selections to pick through. And they are not all on the Palm. The Bvlgari Residences on Jumeirah Bay Island or the steeped-in-luxury apartments on Bluewaters Island — where the world’s largest Ferris wheel will stand as sentinel — are right up there as choices. Meraas is the master-developer for both islands and whatever will be there within. 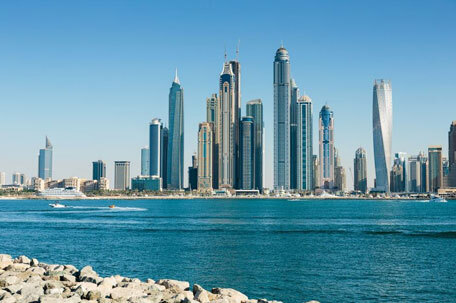 And if an investor prefers to stay anchored on shore but near the beach, there is the 1 JBR skyscraper, occupying the last — and the most coveted — spot within the JBR enclave. If property buyers are still intent on securing a Palm address, then so be it — there are the residential offerings making up the second phase of the Atlantis development’s expansion. Clearly, no dearth of options on the beach. And master-developers are racing along to keep the appointed time on handovers. The Bluewaters island will comprise 10 buildings, together making up 698 apartments and a further 17 town houses. The project was launched on March 11, 2017. Two buildings have been released for off-plan sales. Meraas recently issued a statement on the Ain Dubai progress. As for the residential component, much of the build-up is fairly advanced. All of the buildings are to be delivered simultaneously, sometime in the first-half of next year. The retail elements, leasing for which is being done by Meraas directly, features a promenade set in proximity to the Ferris wheel. There will be up to 200 outlets. The hospitality part will be through two properties, bearing the names of Meraas’ recently launched hotel labels. These are right on the water’s edge. The apartments range between 1,150 to 2,500 square feet, and there are four duplex penthouses on the four tallest buildings with each measuring 9,500 square feet. Around 90 per cent of purchasers are based locally and represent over 20 nationalities. There are to be four access points for Bluewaters Island, including a dedicated bridge that will be paid for by Meraas. There will be a Group Rapid Transport system that is going to connect with Nakheel Harbour Station, plus RTA’s water taxis, which will connect with the retail component on the Island. That apart, a pedestrian bridge will link the Island to the beach.